Composed by Various. Edited by Durichen / Kratsch. 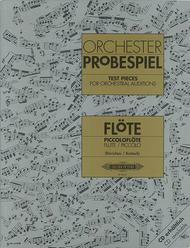 Flute/Piccolo (Solo) Orchestral Excerpts. Sheet Music. Edition Peters #EP8659. Published by Edition Peters (PE.EP8659). Excerpts from the Operatic & Concert Repertoire. Accompanying set of 2 compat discs available, see MP 8659. 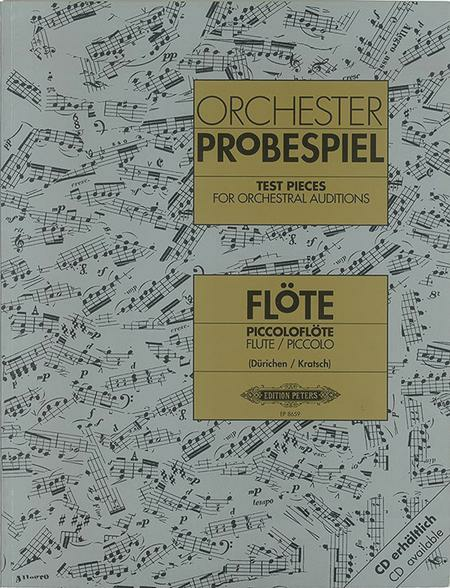 These orchestral recordings present the complete excerpt, and the specific instrument is not omitted.